What is a Vapor Barrier used for? - Steve's U-Cart Concrete, Inc.
What is a Vapor Barrier used for? A concrete vapor barrier is simply a sheet of polyethylene plastic (Visqueen) placed directly on top of the sub-grade before the concrete floor or slab is poured to help keep moisture from the soil from passing up through the concrete. Many moisture problems associated with interior concrete floors and slabs on grade can be minimized or eliminated by installing a vapor barrier under the concrete. 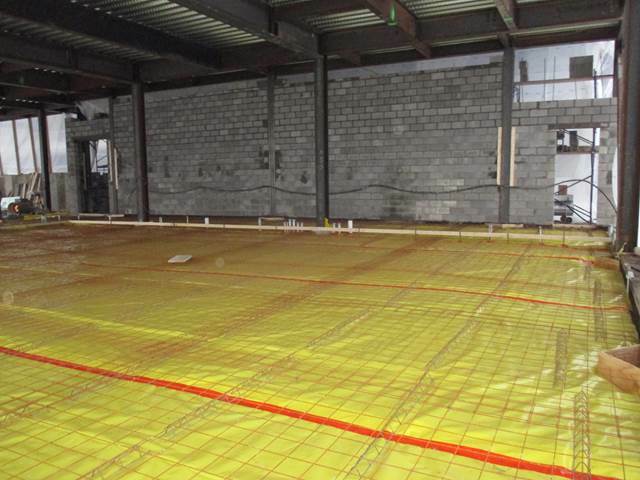 A vapor barrier should be used for all concrete floors and slabs that are going to receive an impermeable floor finish like epoxy, laminate, linoleum, and wood or if the concrete floor will be used for any purpose where the passage of water vapor through the floor may create problems. Water vapor that passes through the concrete will evaporate if the concrete surface isn’t sealed or covered by a material that doesn’t allow the concrete to breathe. Floor coverings like linoleum, vinyl tile, wood, carpeting, and epoxies, seal the moisture in the concrete where it eventually causes the floor covering to loosen, blister, or buckle.